While watching yet another bet on the Bills fall apart in the depths of a dirty sports book is something everyone should do in Vegas at least once, there are also legitimately inviting places to catch football around town. From sports bars with hot waitresses, to those with even hotter wings, here are the seven best spots to post up and wait for Blaine Gabbert to throw six more interceptions. As if the fine, classily uniformed ladies of Twin Peaks weren't enough, this classic lodge-style man-cave has insanely cold 29-degree beer, and two giant walls: one to watch all the games on, and a second to climb once you realize just how smoothly insanely cold 29-degree beer goes down. Not only do you get to grub down on Emeril's best Southern tailgate fare, but you get to do it in a 24,000sqft sports cathedral with 109 flat-screens, a massive 9'x16' projection screen with six rows of stadium seating, its own sports book with personal betting tablets, and a batch of private luxury boxes with arcade-style video games and pool tables. Why leave Sapphire on a Saturday night, when you can keep the party rolling with their football parties which include a catered buffet, $1 halftime dollar dances, raffles and prizes, and 200 "cheerleaders" who will certainly suffer some serious wardrobe malfunctions throughout the day. 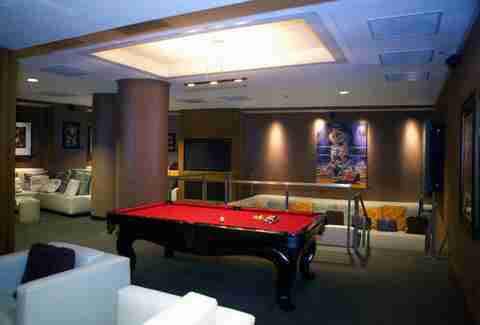 A more intimate spot to chill, The Ainsworth features 21 TVs, a Cantor Gaming betting station inside the bar itself, eats like sliders, wings, and pigs in a blanket, and a bottle service menu that'll give you the rare opportunity to pretend the Jets just won the Super Bowl. 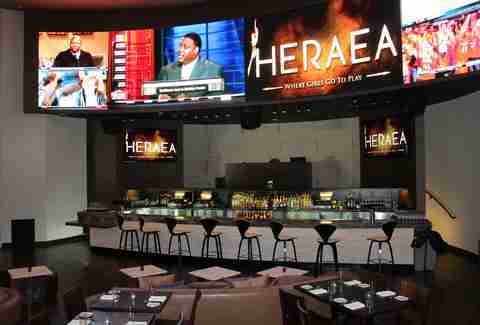 This will mark Heraea's first full football season, and it's sure to be as big as the giant LED wall you can see from every seat in the dining room. 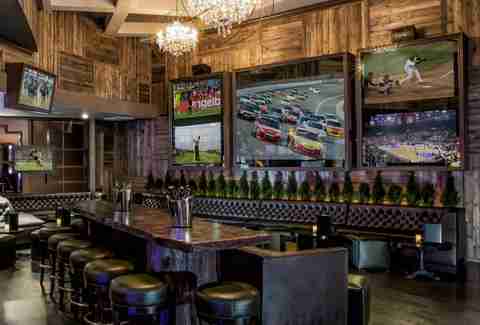 On top of that, you can enjoy their two private skyboxes, a second bar with an outdoor terrace, pool tables, a sports betting station, and upscale pub grub like short-rib piquillo poppers. Those looking to stay away from the strip have over 40 locations to choose from with PT's, each of which features giant food buckets filled with wings, sliders, fingers, AND fries. Oh, and they'll also help you set up an app for your phone that'll allow you to bet on sports! Legally, even! 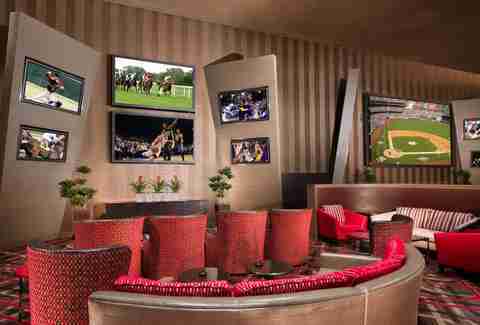 We'd be remiss to not include one straight-up sports book. 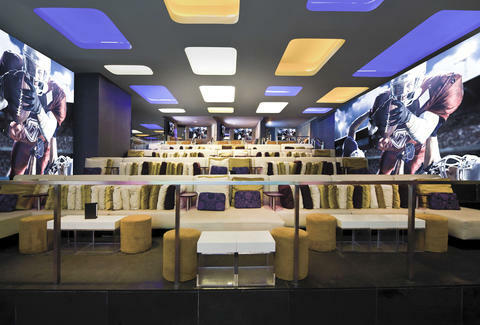 Aria's features a wall of 90+ TV's, including two 220-inch bad boys, and array of semi-private couches, and lounge chairs with full food/drink service. Even the Bills would feel like winners here.